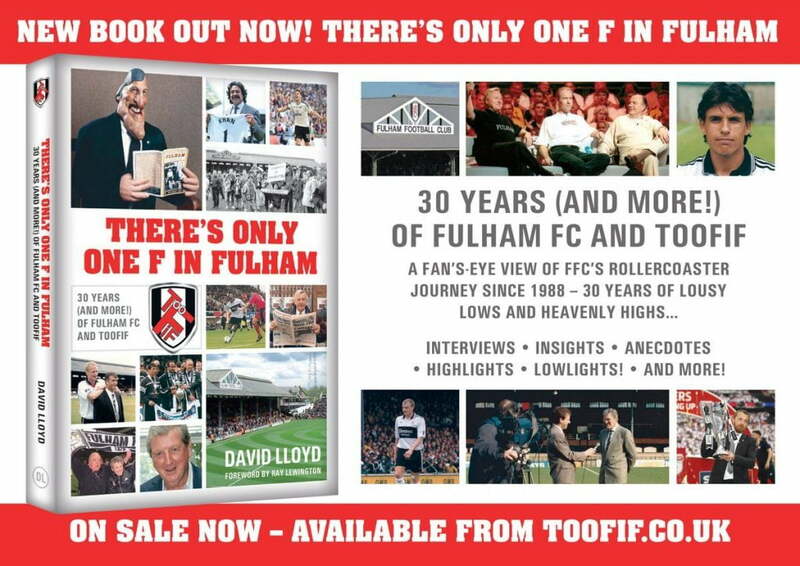 The Fulham Supporters Trust are big supporters of Fulham’s fanzine ‘There’s Only One F in Fulham’ (TOOFIF) and its editor David Lloyd. In the years before the internet existed (widely at least), TOOFIF was about the only media organ providing Fulham fans with independent news and opinions. As it happens this was critical as property developers had their beady eyes on our precious Cottage and were developing shameful ways to get us out. TOOFIF rallied the troops on many occasions and we were able to fight off the threats. This didn’t endear David to the Club – which made him more of a hero to us! David’s editorials have always struck a chord with the fans – ‘the voice of the people’ if you like – and he has welcomed articles from supporters looking to put their views across. Given the explosion of the internet, most printed fanzines have gone by the wayside. But not our TOOFIF – the mag all Fulham supporters must buy! Reaching 30 years of the mag, David decided he needed to mark this occasion and set about producing a book. Not just 30 years of TOOFIF, though it is of course packed full of TOOFIF memories, but also his own personal clashes with the Club and a shed load of interviews with key characters in those years. On hearing this, the FST board were unanimous in that we should be supporting the venture. And so it was deemed we would sponsor a book launch. Cue lots of discussion on potential venues, costs, logistics and would the book ever get done! 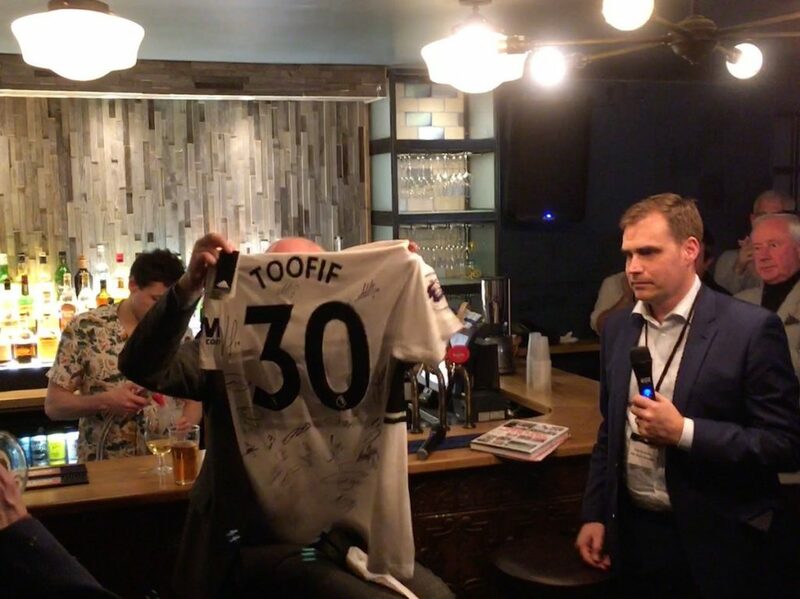 All came together after much sweat and toil and on the 14th November 2018 over 80 Fulham supporters gathered to celebrate TOOFIF30, the book itself and of course raise a glass to David Lloyd. As ever, Fulham tried to hijack proceedings as they decided to sack Slav on the same day – still, it gave us plenty to gossip about. 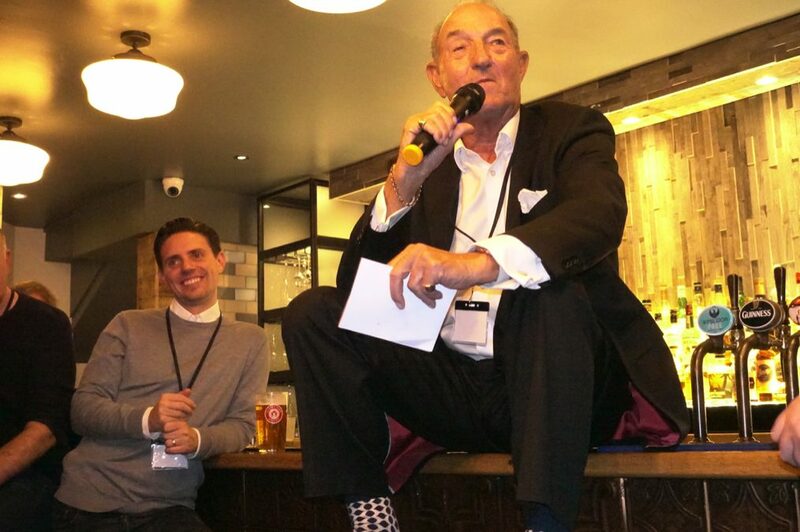 The venue was the Duke’s Head, Putney which our patron Alan Smith managed to secure for us with no hire fee due to a favour owed from Young’s. The Trust sponsored the buffet so we were able to allow members access for just £5 – a bargain! Our Chair, Tom Greatex, led on a Q&A with David where the book and many memories were discussed. A mixture of the serious and humorous side of the last 30 years of Fulham. The Trustee Board then presented David with a personalised (“TOOFIF 30” ) replica strip, signed by all the players, as our thanks to his massive contribution to the cause. Following a quick break to refill glasses the second half got underway with Alan Smith chairing an eclectic panel of guests; including Fulham supporters and journalists, Dean Jones and Dave Kidd; ex-players in Simon Morgan and Les Strong and Fulham’s Non-Executive Director (and lifelong Fulham fan), David Daly. 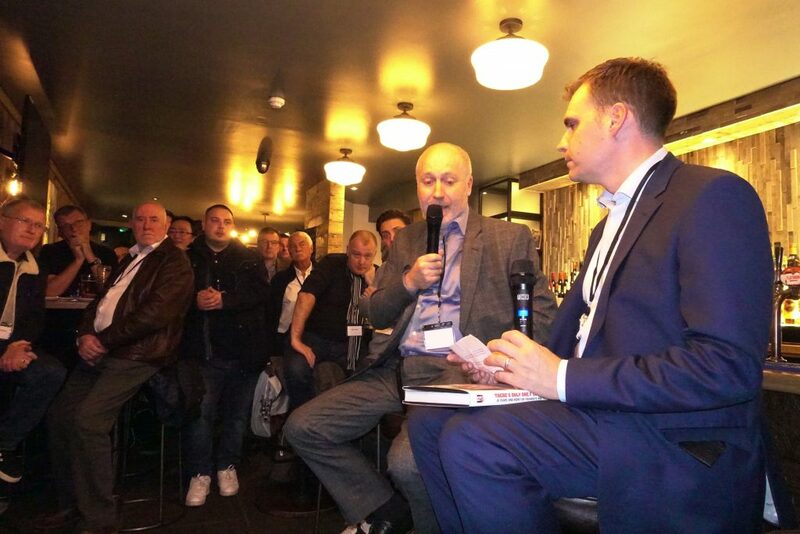 There were a variety of views on the sacking of Slav and other topical points as well as an array of memories. All panel members lauded TOOFIF, David Lloyd and the strength of voice the fanzine had given the fans over 30 years. Questions were also opened to the floor so attendees had the chance to have their say. Finally, there was time for more drinks whilst those who had yet to buy a copy queued up to buy the book which is an incredible read with more than 380 pages. Not got yours yet? Make sure to order yours from here. Overall a wonderful evening spent with Fulham people on the bank of the Thames. A fitting tribute to 30 years of TOOFIF and David Lloyd.